Recently, I have been doing more and more quick getaways to nearby European cities, so a weekender bag that is not only efficient but stylish has become quite an essential for me. If you’re a follower of my Snapchat travel account, you would know by now how I typically bring along a backpack as a sole carry-on for my brief travel sprees. However… since my ‘quick getaways’ are slowly transitioning into formal and professional trips, I feel that I need a more elegant weekender bag. When such a need for sophistication arises, that’s where I make full use of my Sandy Lisa’s Siena Quilted Tote! As a fashionable and functional tote, this weekender bag can absolutely carry every travel essential that you may ever need. Its storage capacity and pocket features are through the roof! Maintaining a sleek look, the Siena Quilted Tote can fit up to a 14.1″ laptop as well as your iPad/tablet device that is up to 10.1″. These are well-protected with its built-in padded compartments that are even additionally secured by an adjustable strap. Large interior space to store your essentials: weekender clothes, shoes, purse, toiletries, etc. It’s versatile and comes in different colors! With its detachable and adjustable shoulder straps, I can quickly transform this from an on-the-go bag during the day, into a fashion statement tote during the night. Of course, this bag is not only for short-term travel as it can be a helpful carry-on for long-term journeys — add the fact that the Siera Quilted Tote can be an everyday bag as well! I have come to love the tan colored version of the Siena Quilted Tote, but you could also opt for black or pink. 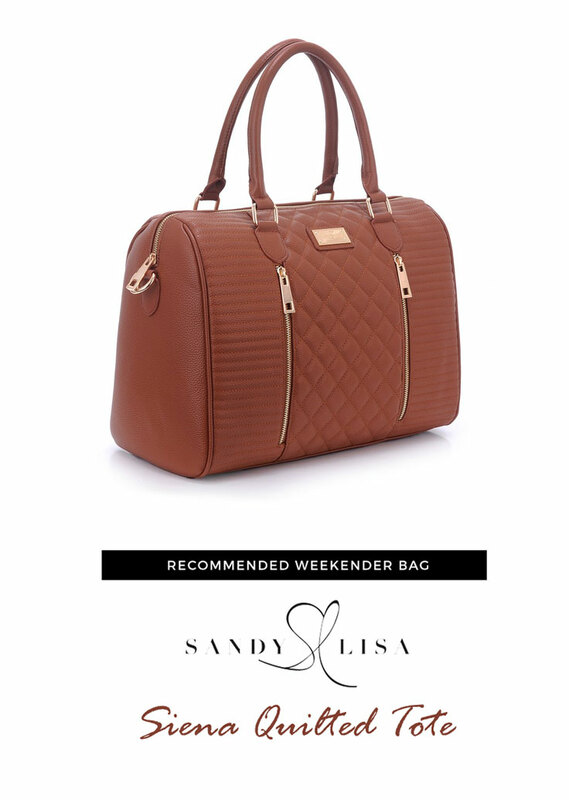 Sandy Lisa’s Siena Quilted Tote is a weekender bag that I have full confidence in — from its functionality up to its well-thought-out design! DISCLAIMER: I received this product for free from eBags in return for an honest review. 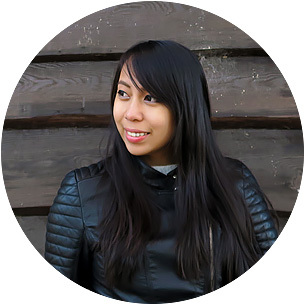 As always, I only recommend and write about brands that I personally use or believe in. Therefore all views that are expressed here represent only those made by myself and NOT of any other entity in their favor. What do you think of the weekender bag: Siena Quilted Tote? Do it, Tiffany! It's just a click away ;) I'm totally in love with my brown one! I'd love to even have a weekend bag. The extra compartments are idea for a woman on the go! Maybe if I buy the cute pink one, my husband will take the hint and drive me far away for the weekend! Haha, I think that's a swell idea Tami!! That pink bag has just made my wish list!! OH MY GOSH!! I need this in my life. It can be used for so many outfits and occasions. Just showed my husband. YES please! This is a phenomenal bag with tons of room and compartments. I can stick my technology in there and still have room for clothes, toiletries and clothes for kids. Versatility and carrying ease/comfort is huge for me-makes or breaks the purchase for me. This is a great tote all around! Style is on point w quilting! Oh, this looks fabulous. I love it.I have been searching for a good weekend size bag for months. If I find something in the right size, it's not the right color or quality. A good bag is so hard to find for me. This weekender bag is absolutely gorgeous! And those pockets and storage space? Love it! I'm one of those people who love to have a designated place for everything, and this bag looks like it will hold everything I need and keep it organized. What a lovely tote. It would be perfect for formal meetings and sassy enough to carry to the party. I love the brown leather as well. Wow! I never would have guessed that this cute little bag was big enough to fit my laptop in! And I love all the pockets and storage-- so helpful for all the random things I always have in my bag! Love it! OMG! I think I just passed out and when to the bag heaven in the skies! I love, I mean love this bag. It has a comfy style and I like that its bag that you an dress up and dress down. I also like that there are several pockets to put my keys, cards and phone. I'm happy to hear that you have the same sentiments as I do! Much like what you say, it's really versatile and can be used for any occasion!